Martin A. asks: Where did the expression “nothing to sneeze at” come from? 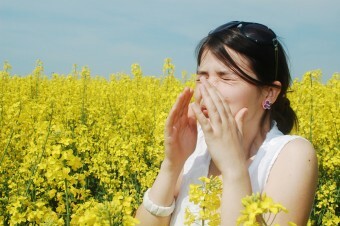 For that matter, why is sneezing called sneezing? Thanks! CONCERNING Sternutation or Sneezing, and the custom of saluting or blessing upon that motion, it is pretended, and generally believed to derive its original from a disease, wherein Sternutation proved mortal, and such as Sneezed, died…. The colloquial idiom “nothing to sneeze at” first made an appearance in the late 17th and early 18th century, but has its roots a little earlier than that with the craze of snuff boxes, which as you might expect resulted in an awful lot of sneezing. A pinch of snuff sniffed into the nostrils could produce a sneeze on call and developed into something people did in the middle of a conversation as a sign of disrespect to the speaker or what was being said. Sneezing could also be used as something of a status symbol, showing you were perhaps above the person and anything they had to say. So if someone said something that you disapproved of or found beneath you or boring, you could show your pretentious disregard by getting out your snuff box and sneezing. “A word in your ear,” said his lordship: “Do you know, I have quite changed my mind about that business since I met the marquis. He tells me that it’s a sort of thing a young fellow of my expectations ought to sneeze at. Why, as to his consent I don’t value it a button; but then £5000 is a sum not to be sneezed at. While you might think inhaling snuff (ground or pulverized tobacco) could result in an increased risk of getting cancer, to date (surprisingly), no scientific study with a large enough sample size has been able to show such a connection, to cancer at least- nasal and other problems may ensue, it just doesn’t appear that cancer is an issue with this one. Unlike tobacco smoke, snuff is free of tar and harmful gases such as carbon monoxide and nitrogen oxides. Since it cannot be inhaled into the lungs, there is no risk of lung cancer, bronchitis, and emphysema. It is not known whether nicotine or carbon monoxide is the major culprit responsible for cigarette-induced coronary heart disease. If it is carbon monoxide a switch to snuff would reduce the risk substantially, but even if nicotine plays a part our results show that the intake from snuff is no greater than from smoking. In conclusion, the rapid absorption of nicotine from snuff confirms its potential as an acceptable substitute for smoking. Switching from cigarettes to snuff would substantially reduce the risk of lung cancer, bronchitis, emphysema, and possibly coronary heart disease as well. During the Black Death, sneezing was often enough the presenting symptom of pneumonic plague — which was almost always fatal. Seems likely that the blessing took hold because of this, or a similar, epidemic.